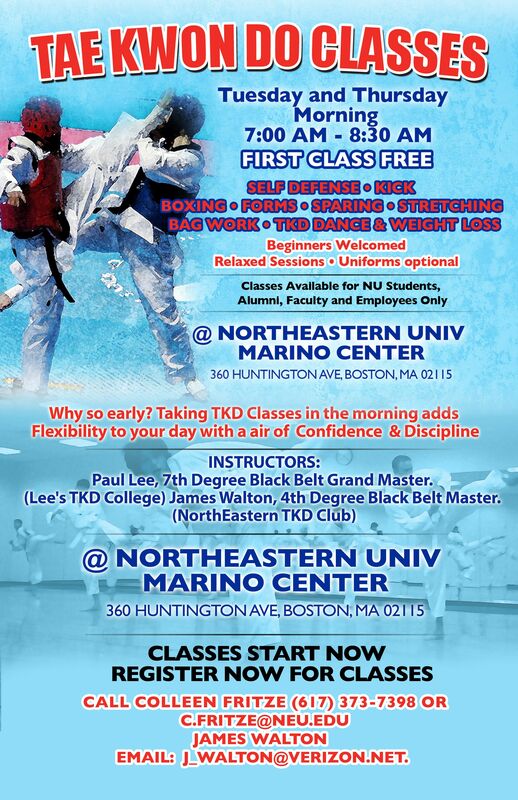 Instructional Programs provide a diverse blend of non-credit classes in Martial Arts, Individual /Dual Sports, Body/Mind/Spirit, Dance, and Special Events to members of the Northeastern University community at a nominal cost. The classes offered in this program provide personal enrichment, training and skill building and are intensive in nature. Class schedule and policies are available at the Campus Recreation office, 140 Marino Center, or online.